Staying Positive during Crossroads-What you say will come following you! I was recently speaking to a local licensed mental health counselor, Cheryl Malone, M.A., about the mental struggle we all go through while looking for employment. She stated, “Humans feel the most stress and anxiety during a cross road in their life.” Think about it and look back in your life to some of the worst times. Some of those times were due to events in your life that caused a cross road. What is a cross road? A cross road is a time when your life seems to be stuck or literally standing still. You feel like you don’t know what to do or that there isn’t anything moving forward. Cross roads can be mentally and physically painful. When you are looking for employment you are at a cross road and it’s very easy to think negatively, get depressed, and lose hope. Every application that you submit goes into a black hole, your phone never rings, and your email inbox is empty which all has a physical and mental effect on your body and self-esteem. In my book, “The Recruiting Snitch, Recruiting Secrets to Help Land Your Dream Job”, I’ve provided an arsenal of tips and ideas to help get you through this time in your life. I never admit to have all the answers but I know after reading “The Recruiting Snitch” you will feel empowered to keep going and achieve the success in life that you deserve. Please join me at the CFEC Job Search Seminar on April 3rd, 2014, to learn more about the “employment game” and secrets recruiters don’t want you to know. I would love to meet you! Whatever you say and put in the universe will come following you. So if you keep telling people you are unemployed, guess what? You will stay unemployed. Change that sentence to, “I’m currently in transition and on a mission to find my next career.” Then guess what will happen? You are going to find your next job. I know it sounds crazy but the power of your words is beyond mighty, so begin by putting an end to sending negative words in the universe. From here on out, only positive statements and words will be released from your lips. If no one was hiring, I would be unemployed. I’ve been a Recruiter for 10 years. This means for the past 10 years I’ve been working for companies that are hiring. I receive hundreds of emails, LinkedIn messages, and see all day companies who are hiring and looking for talent every day. So, the truth is, companies are hiring, you just aren’t holding the skills they are looking for or you are looking in the wrong places. By using the excuse, “No one’s is hiring”, you are immediately showing your lack of research in the current economy and job market because the fact is companies are hiring everywhere. You are also sending negativity out in the universe, which again will only breed negative reactions. 3. Stop sitting behind your computer. In “The Recruiting Snitch”, I provide a detailed plan on how you should spend your days looking for employment. In summary, the first 2 weeks are heavily on the computer but then in week 3, I advise the reader to get out of the house at least 2 times per week to meet up with other people. This can be at a professional networking event (www.meetup.com), meet up with a family member, old co-worker, past teacher, professor, cousin, friend, or just start a friendly conversation with anyone at the mall, gas station, grocery store, or library. The fact is you have a better chance of receiving employment through a personal referral. So you need to expand your personal network as much as you can. This does NOT mean sending more friend requests on Facebook or liking more pictures on Instagram. Have a face to face conversation and interaction with at least 2 people a week. You may meet someone out at the library and find their cousin is a manager at the company you’ve wanted to work. That’s all it takes sometimes. 4. Stop comparing yourself to others. Social media has made it easy for us all to look in to everyone’s life and immediately think, “Man, they have an awesome life.” Then what do you do? You immediately think, “Gosh, my life is horrible, I wish I had what they have.” The depiction of your friend’s life is based on the pictures they chose to post, it’s an edited or Photoshoped version of their life. So of course! They post the most attractive pictures or the most exciting stories to share. Here’s the truth, we are all going through our own struggle and you are not in the boat alone. When you are feeling bad about your current situation say to yourself, “Everyone goes through this and I’m not alone, it may be a tough time, but I know this is just a moment in my life that isn’t fun but it will get better very soon.” See how you changed the negative to a positive? In summary, this method of positive thinking will not come easy but it is worth the change. Once you can start viewing this time as an adventure, a change for the better, and just a bump in the road, you will start to see little opportunities open up for you. The universe will bring you people that will inspire and help you get to where you need to go, and you will take your life and happiness back. If you enjoyed this reading or want to hear more, please join me at the CFEC Job Search Seminar on April 3rd, 2014. I will be speaking on recruiting secrets, how to ace the interview, networking, and resume writing. All very valuable topics if you are looking for employment. Also, make a $15 investment in yourself and pick up a copy of “The Recruiting Snitch” at www.recruitingsnitch.com today! Out to Pasture after 55…..not me!!! Some say that after 55 (I’m 66!!) you are “set out to pasture” to graze for the rest of your life. I take issue with that. The question really is what’s in that pasture? I see a pasture with 3 distinct sections. Section one has an abundance of grass. The “Senior Citizens” (SC) there are grazing to their hearts content, loving it. They are making money, they are relaxing doing what they really want to do and don’t care what their age is. The second section of the pasture is sparse. There is some grass and the SC who have “settled” there are complaining that there is some grass there, but they want more. They are working on a “Plan B” because during their prime (before they were set out to pasture) they were making a salary and loving it. Now they have to work, and work harder so that they can eventually meander over to “Section one” where there’s an abundance of grass. The third section is sandy. It has no grass. There are a few SC over there, but they are constantly complaining that there is absolutely nothing out there (do I hear apathy?). They have worked hard and now they are standing there trying to find SOME grass to graze on, but they are just not finding it. They are not prepared for this eventuality. They have been given advice by dozens of people and have opted to take the wrong advice as those people didn’t have a clue as to what they were talking about but felt comfortable just “giving advice”. These are people who are “doubting Toms”. Now, let’s revisit that second area. What led them to the path where there is some grass? Preparation? Great advice from those “in the know”? Networking with the right people? A high quality resume and LinkedIn profile? The answer of course is yes to all the above. Will they (or can they) meander quickly to the dense grassy area and make something of their life? The answer is a definite YES. This chart depicts the difference between working for someone and working for yourself. As the “new crop of senior citizens, we all want to have a weekly pay check. We all want to have our bills paid on time. We want all stores to have “senior discounts”. This is a new age for us. We are used to working in our comfort zones, that “box “ called 1980 when we saw life a lot easier. Newsflash, this is the 21st century and we are (by our own admission) BabyBoomers or “Boomers” for short. We were born post WWII. We didn’t have a choice!!! Now we have children and grandchildren. We are in the same or similar boat that our grandparents and parents may have been in during the 60’s and 70’s. Only the economy IS NOT the same. It is terribly different. Are your skills where they should be? Should you go to school to update those skills? There is a mountain of questions to be asked and, yes, answered. Should you seek help? A resounding YES is in order here. What kind of help should you seek? Help comes from those who either “have been there” or from those who ARE there and are struggling just like you. The word NETWORKING comes to mind. These could be your peers and (yes) even your competition. The biggest selling point YOU have is YOU. That’s right. Walk up to someone and smile. Stand on a street corner and look up. How many will stop and look up right beside you? Your “soft” skills are just as important as your “hard “skills. Soft skills are that grin or smile you always display. That sense of humor. Having “people skills” is over used. The next selling point is your resume. Does it tell the whole story? Although I am an expert resume writer, I will not sit here and tell you to meet with me. This is not my time to self-promote. I will say this though, and that is that your resume is not an android. YOU are not an android! There are rules and rules governing how a resume should be written. I am not going to expound on ANY of them at this point. I will say, however, that if you talk to 12 different people, you are going to get 12 DIFFERENT ANSWERS. Some may be the same, some will be different. Who makes the decision ultimately? You do!!! The last selling point is your LinkedIn Profile. It MUST match your resume. Again, I am not going to promote my seminars, aside to say that they deal with creating a polished LinkedIn Profile. If you don’t promote yourself….no one else will. Remember, if it is to be, it’s up to me. If you don’t self-promote, someone else will and that person (could be a good friend in the same field) will get the position before you do!! So you ask, “What’s in it for me”. Plenty….a job or new position for starters. Being “put out to pasture” is no fun. No matter what section of the pasture you end up being in. Growing up and getting gray, is (hopefully) a time that we are all looking forward to. Better we are vertical than horizontal. We read obituaries every day about those in their 60’s who opted to take their own life because they admitted to being (in their own view) losers. I heard the statement, “God didn’t make junk”. We need to regroup, realize that we have peers and we have support groups who exist simply to help. Are you taking advantage of them? Leaders of these groups can “lead you to the trough” but we can’t make you drink. You have to do your part. What is your part? Simple, don’t stay in “Section three”. Meander over to the sparse grass and get used to it for a while. Build and keep building. Then, after you’ve built, meander over to the dense grass and START EATING. After all, we are “boomers” and we are what we make of ourselves. Plan B DOES exist. Will you use it? Or will you simply stay by the fence and watch others go for success? ProNet Career Resources | Keeping Local Professionals Local! Are you being told you’re “overqualified?” Focus your résumé on exactly what the employer needs. “I keep hearing I’m overqualified for jobs. What can I do?” The best way to overcome a perception that you’re “overqualified” is to focus your résumé and your interview on explaining precisely why you’re qualified for that particular job. Your résumé should cite examples from your experience which showcase the results you’ve achieved. Be sure to include only the experience and skills which are directly related to the desired and required qualifications listed in the job posting. Don’t list lots of unrelated accomplishments, achievements and experience. By focusing your résumé only on the skills and experience called for in the posting, you’ll help an employer understand exactly what makes you a great candidate for the job. The employer will not be distracted by all the things you “could” do. Instead they’ll be pleased to see that you’ve got skills which are perfectly suited for their open position. When you connect your experience directly to the job posting, your résumé will speak for itself.
! - Any part of your experience that was "amazing!" A customized cover letter is also a great opportunity to explain why you’re a great fit for a particular job. You can address your level of qualifications in a cover letter by tactfully explaining why you want to work for the company, what you bring to the table and how your experience will enable your long-term success in the position for which you’re applying. When you customize your cover letter to the job posting and you write a résumé that’s full of ! @#$%, your résumé will speak for itself and you’ll earn the interview you deserve. So, why don’t employers higher the people who seem overqualified? Recruiters like me typically don’t want to hire candidates who will “take anything” just to get a foot in the door. Employers may be worried that candidates who possess significantly greater qualifications than are needed in a role will quickly leave a position if something better comes along. Both turnover (people leaving a company) and churnover (movement within a company from one position to another) can result in increased costs for employers. When employees leave, a company has to pay to train a replacement and the on-boarding of a new hire almost always creates a loss in productivity. Candidates who are perceived as overqualified can be considered a “flight risk” and as such might not be the best fit for a role. When you explain to a recruiter exactly why you’re qualified for the open role and you clarify that you want that job for the right reasons, it will be easy to understand why you’re a great match. It’s ok to have aspirations for advancement, but you should only apply for jobs you really want and which you can imagine yourself performing for some time. Re-Charge and Re-Energize your Job Search Seminar, Orlando, FL Thursday Evening, April 4, 2013 at College ParkBaptistChurch / Fellowship Hall, 1914 Edgewater Dr., Orlando, FL32804. This Seminar will have two adjoining professional presenters to help you with your job search. You will not be disappointed, but instead you can expect to be re-charged, encouraged, and engaged. Help another unemployed friend by inviting them too. Reserve your seat below, mark your calendar, bring a few resumes just in case, and we will see you there! All Central Florida job seekers are invited to Rsvp for this event. For more details and to RSVP for this event on April 4th please click here. "Farnaz Namin-Hedayati, Ph.D., is a doctor of corporate psychology, strategist, peak performance executive and leadership coach. She is the founder of Center for Work Life, a career and performance coaching and global human capital consulting boutique firm here in Orlando. Throughout her career, she has been the constant driver of key business results, such as increased revenues and profitability through decreased employee turnover, and peak performance for her coaching and corporate clients. She has more than 15 years of professional corporate experience in human capital consulting, leading top performing teams in the U.S. and abroad. She holds key roles on regulatory governing panels involving effective workforce planning and serves on various expert panels involving current workforce trends, leadership and career conflicts, mental health and healthy employer practices on networks such as FOX and CNN. She is a contributor to scientific and mainstream business publications such as The Huffington Post, and Orlando Business Journals. She conducts regular workshops and seminars on areas such as talent acquisition, career planning, leadership development, employee and team effectiveness, succession planning and work-life balance." Here you can have a 15 minute critique of your resume, obtain detailed tools on how to use social media, learn job search strategies including networking tips and learn interviewing tips to wow your audience. Whether you are looking to revamp your career, change it, or return to it after a change in your life, you can get great tools at these sessions to propel you forward. At the Center we believe if someone is interested in landing the job of their choice, nothing should stand in their way. 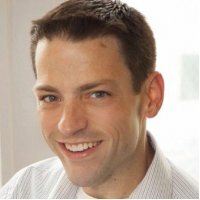 "Scott Vedder is a Fortune 100 Recruiter and #1 bestselling author. Scott will share his expert insight and answer your résumé questions in a lighthearted, interactive presentation at the CFEC Job Seekers Seminar on Thursday, April 4th. Scott will give you the inside scoop on what recruiters are really looking for on a résumé. Learn how to write a résumé that speaks for itself. Find out why your résumé should be full of ! @#$%, the Signs of a Great Résumé." 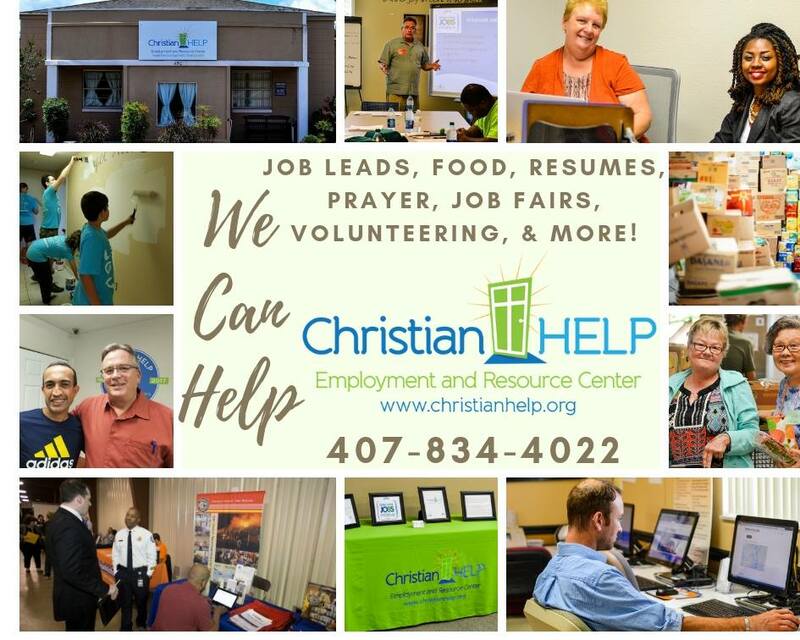 If you are job searching in Central Florida, we have the privilege to hear Scott’s presentation on this topic at our Re-Charge and Re-Energize your Job Search Seminar, Orlando, FL Thursday Evening, April 4, 2013 at College ParkBaptistChurch / Fellowship Hall, 1914 Edgewater Dr., Orlando, FL32804. This Seminar will have two adjoining professional presenters to help you with your job search. You will not be disappointed, but instead you can expect to be re-charged, encouraged, and engaged. Help another unemployed friend by inviting them too. Reserve your seat below, mark your calendar, bring a few resumes just in case, and we will see you there! All Central Florida job seekers are invited to Rsvp for this event. For more details and to RSVP for this event please click here. columns and blogs and he’s been interviewed on national television and radio. Put Scott’s experience to work for you!" You may have heard that there are people "out there" who can help you find and land a job, but you may be wondering exactly who 'those people' are and what exactly do they do. Well, this article will explain what a career coach is, what they do, and how you could benefit from working with one. In the broader context, a coach can best be defined as "a person who guides and supports other people on their life and work journeys to create more of what they are wanting; coaches act as partners with clients to discover what they want and how best to achieve it" (Levine, Kase & Vitale, 2006). According to Coach U, Inc., coaching works due to synergy – becoming a team with the client and helping them get more than they would alone; structure – helping the client take more action, think bigger, and get the job done; and expertise – helping the client make more money, make better decisions, set the best goals, and restructure their personal and professional lives for maximum productivity. Most people find that, even though they are reading self-help books or tapes, they wind up going back to their old ways so they need someone to give them the "push" they need, as well as the accountability – and that is what the coach is there for. While they help the client to set goals, develop the action steps, and then help them clear out the 'blockages' that may deter them from reaching the goal, it is the accountability system that helps clients to achieve these goals. There are many areas and populations that coaches work with, but one of the major niches is career coaching, which is aimed at helping people to find a job, change jobs, phase into a new career, or to start their own business. A career coach can work with clients who fall into several developmental phases, including: high school students, who are unclear about college or a major; college students who are not sure about their chosen field of study or still question what they want to do; people who are in-between jobs or are unhappy with their job and want to find a new one, and older workers who are looking to reinvent themselves or retire from the workforce. A career coach can help you to discover your purpose and passion, define and set your career goals, and develop a strategy for getting there; they also assist with interviewing skills, resume review and writing (not all), salary negotiation, and business etiquette skills. In addition, they can help you develop professionally to enhance your skills and move up in your career. Hopefully, you have a better understanding of the role and benefits of working with a career coach and will consider finding one to aid you. Coaching can help you be the best you can be and find the success you've been looking for! Dr. Barbara Seifert, LCSW, CPC, NLP is the President of Committed to Your Success Coaching & Consulting in Orlando, Florida. She helps individuals to take charge of their careers, find the work they love and enhance their professional development to reach their peak performance. She also coaches in organizations to enhance employee engagement and leadership development. Dr. Seifert is an adjunct professor, a certified coach and certified in Neuro-Linguistic Programming. You can learn more by visiting www.cyscoaching.com and Your Career Success Blog at www.allaboutcareerssite.wordpress.com. In order to be recognized and noticed in the business community, it is important to have your own 'brand', or a catchy way for people to recognize and remember you. This could be done either through a motto, a phrase, or a logo, but it should be something that identifies you and your company or service. It also should peak someone's interest so they say, "tell me more." This personal branding also applies in your job hunt. It doesn't mean you have a fancy title or even a catchy phrase, but it does mean that you have a way to describe yourself - in a career perspective - so that a prospective employer will ask, "tell me more." This can be done in your 30, 60, or 90 second elevator speech, that is clear and concise, but lets people know the extent of your skills, talents, or experience. 1. Write down all the skills, abilities, experiences you have in one or two words; be clear and brief; your brand statement should create immediate interest in you and get the listener asking questions. 2. Identify and include a benefit, such as reduce, enlarge, create, eliminate, which will make people listen; avoid verbiage, such as I sell, or I manage. 3. Don't use jargon that is too technical or slangy to your profession - others will not understand and it will prevent them from asking you more. 4. Avoid negative talk, such as "I helped my company increase sales by 50%, but it was really nothing". Showcase your achievements and accomplishments; after all, you are selling you. 5. Avoid boasting or bragging - this is the opposite of negative self-talk. While you are trying to get others interested in you and hearing more about you, overstating your talents and accomplishments can have a negative effect that can be long-lasting. 6. Make your introductory statement unique so that when people hear it they will remember you. 7. Practice, practice, practice so that you will feel comfortable saying it at any time or in any environment. Say it in front of the mirror and get feedback from friends or family.